Ding-Ding-Ding, we can almost hear the boxing bell ringing. 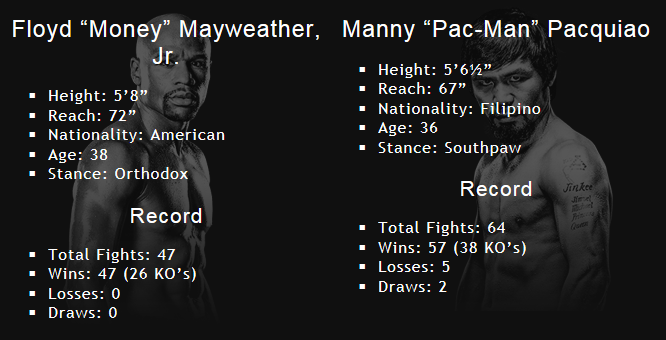 Anticipation rises as we await the Floyd Mayweather vs. Manny Pacquiao multi-million dollar fight this weekend. Two legendary fighters go head to head on Saturday, May 2nd at the MGM Grand in Law Vegas! Whose hand will rise in victory? To read more about this fight visit ESPN.